https://www.brnkl.io/wp-content/uploads/2018/04/[email protected] 315 707 Brandon https://brnkl.io/wp-content/uploads/2017/04/BRNKL-black-text_height90.png Brandon2018-04-11 04:02:252018-06-06 22:05:52The "Smart Home For Your Boat" Makes the Finals! We had no idea how popular AM radio was until we saw a spike on our website in response to our CFAX 1070AM tech-talk! 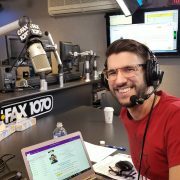 Having a couple of hundred hits to our website around the same time as the original airing of the show was a complete surprise… Perhaps it’s because our founder, Brandon, has the face for radio? 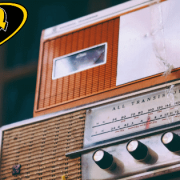 The 9 minute 41-second tech talk discusses the BRNKL product and goes in-depth in the features and benefits the product provides. Whether you’re looking for a boat security system or a boat monitoring system, Brandon explains how this product will work for you. 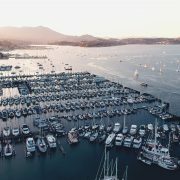 Have a listen and learn how you can spend less time worrying about your boat and more time preparing for your next adventure. We are pleased to announce that Barnacle Systems is a finalist for the BC Small Business Awards – Best Concept. 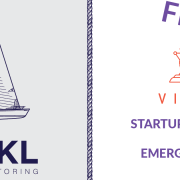 Barnacle Systems has developed BRNKL, a “smart home” for your boat, for people who suffer from boater’s anxiety and need to know the health and status of their vessel. 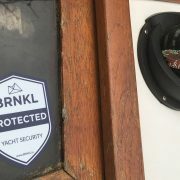 By installing the BRNKL on your boat you can monitor critical components, detect intrusion, or simply look inside your cabin with the onboard camera. 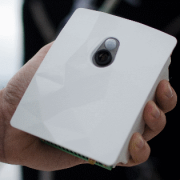 Unlike the standard marine systems that provide alerts while you’re onboard, the BRNKL allows you to receive alerts to your smartphone, tablet, or computer whether you’re at the dock, at home, or half-way around the world. Check out our nomination page here.